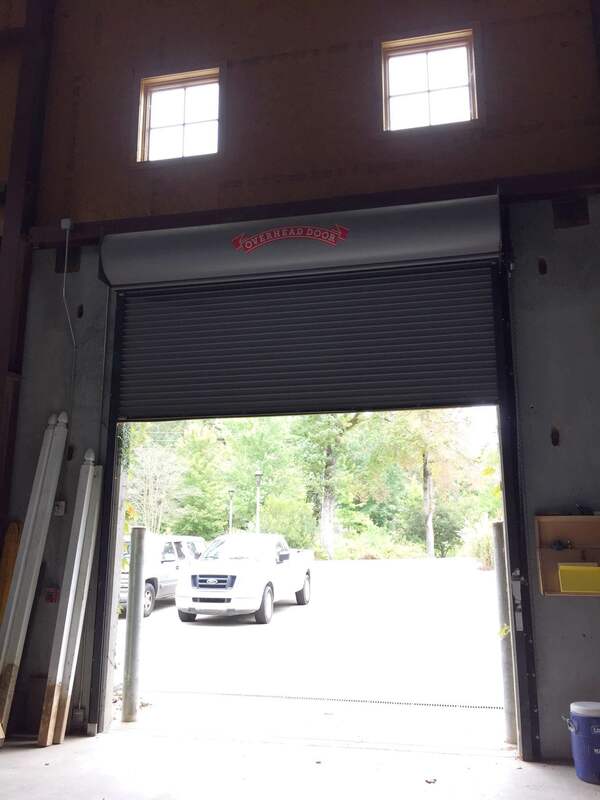 As Birmingham's oldest garage door provider, Overhead Door Company of Birmingham has had time to make an impact on the architecture of our city and surrounding areas. 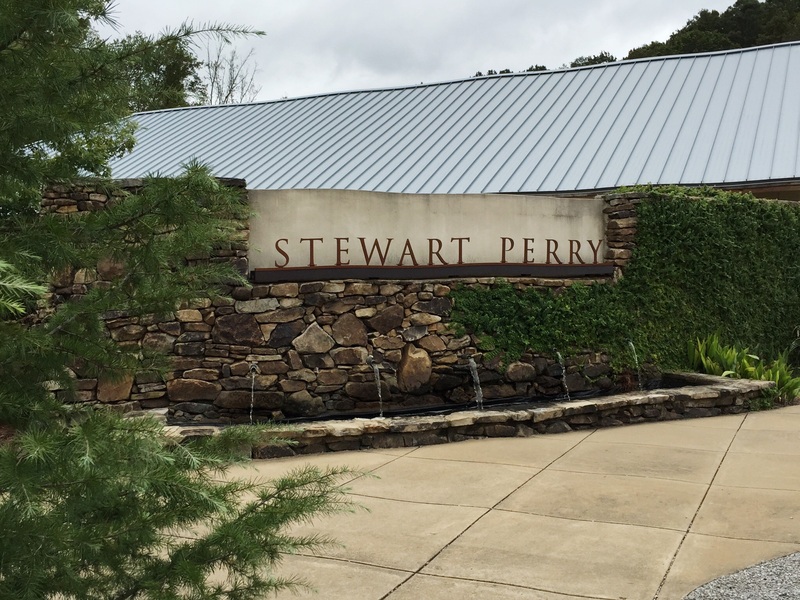 Today's post features the corporate campus of Stewart Perry Construction, a site that "won a national award from Associated Builders and Contractors, Inc., achieved the U.S. Green Building Council’s Silver LEED* certification and that the Stewart Perry team is proud to call home." 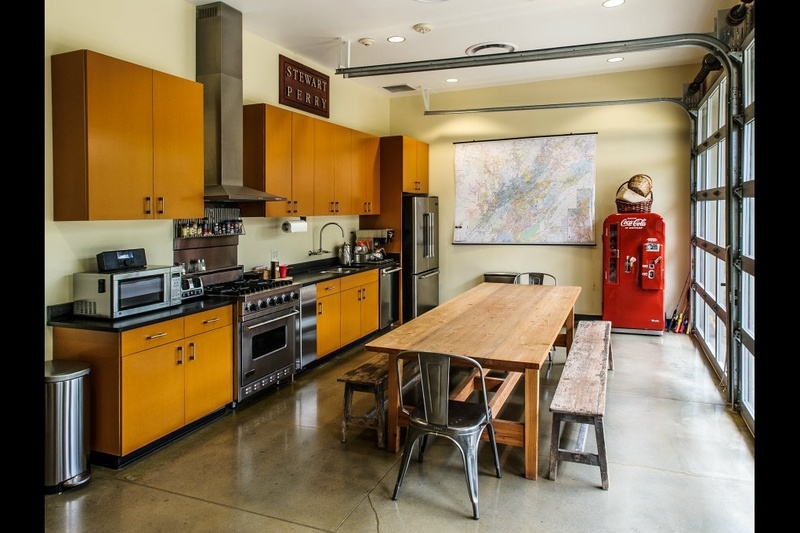 The kitchen features two aluminum sectional doors (511 / 521 Series) which frame unobstructed views of the beautiful landscape, allow light to infiltrate the building, and on particularly beautiful days, open the kitchen to the outdoors. Notice how open the space looks and feels with the floor-to-ceiling glazing. 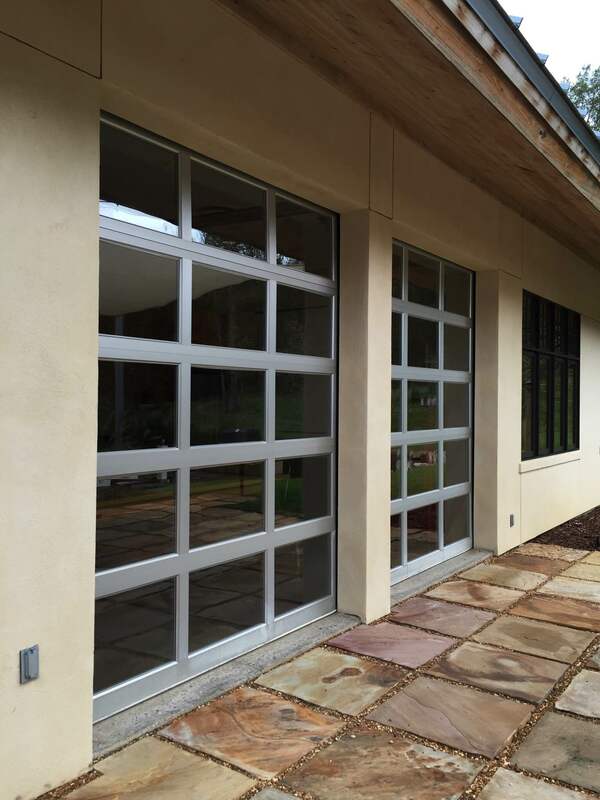 Click here for a brochure with more information about these commercial aluminum and glass sectional garage doors, or go ahead and request an estimate from our commercial department. 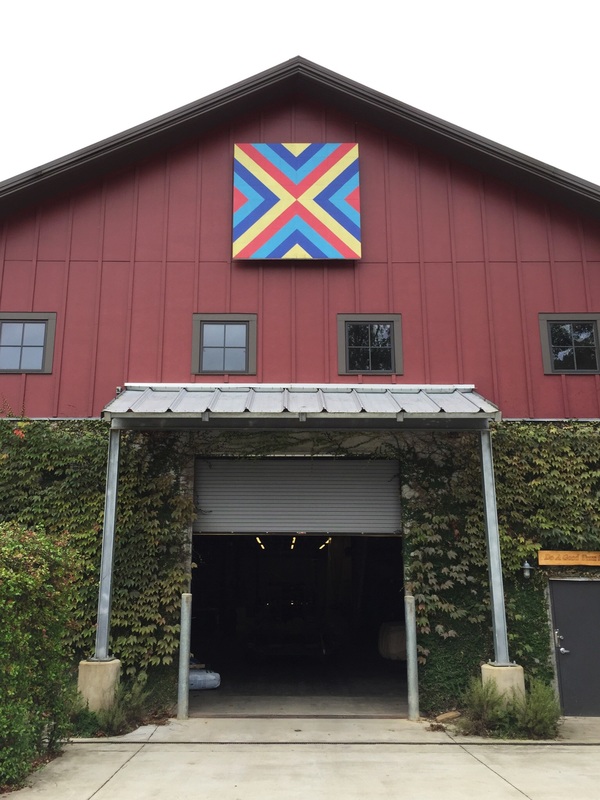 Stewart Perry's campus also features a barn used for equipment and lumber storage, as well as a millwork shop. 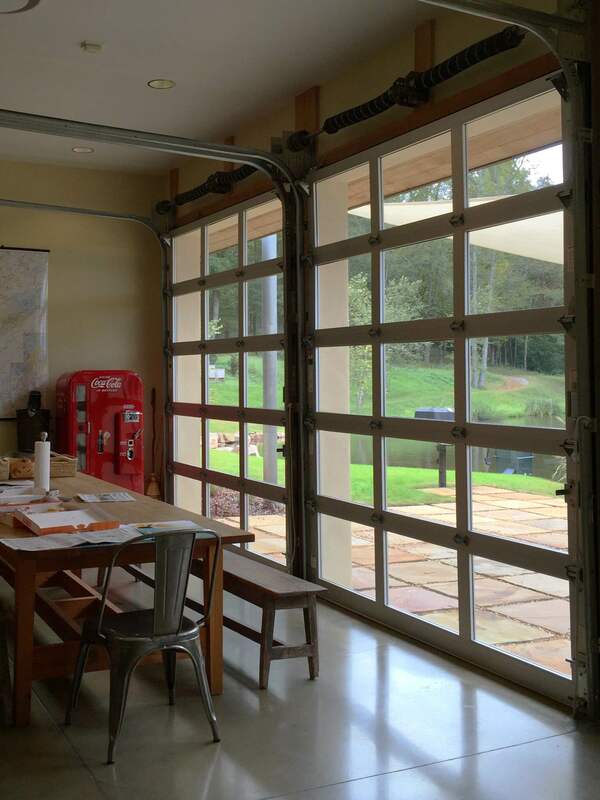 The commercial overhead doors installed here are an industrial type called rolling steel doors. 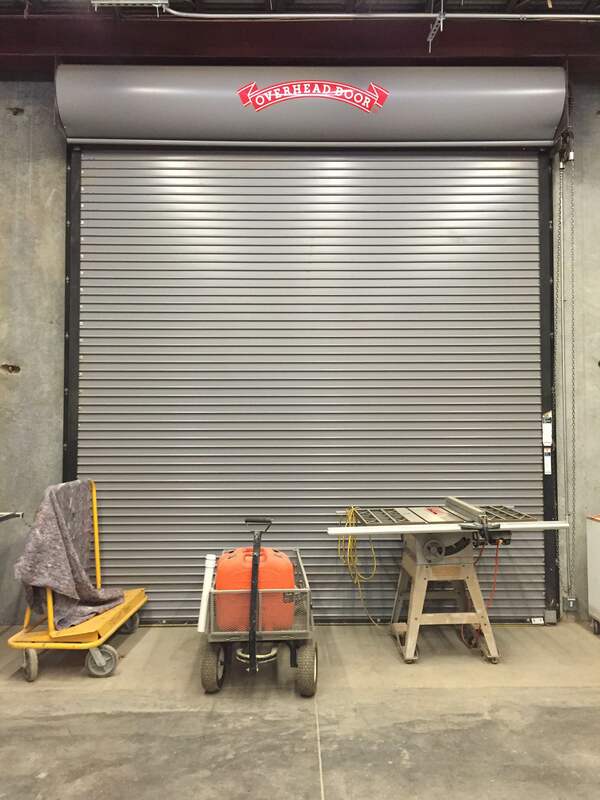 Fabricated of interlocking steel, stainless steel or aluminum curtains in a variety of slat profiles, finishes, and options, these doors are designed for durability and ease of service. Since these doors are made of small individual slats fitted together, the slats are made to easily be replaced if hit by a vehicle or damaged somehow. If you'd like to learn more about any of the doors listed above contact us by phone or click on the link below to be contacted by one of our commercial managers. 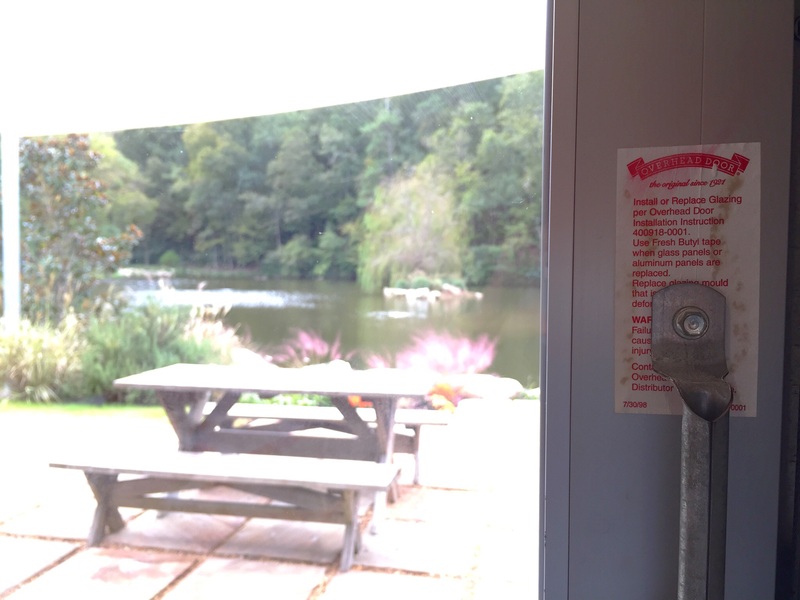 Check back for more highlights of central Alabama's Overhead Doors. Do you know of a door that we should feature? Let us know about it in the comments section!